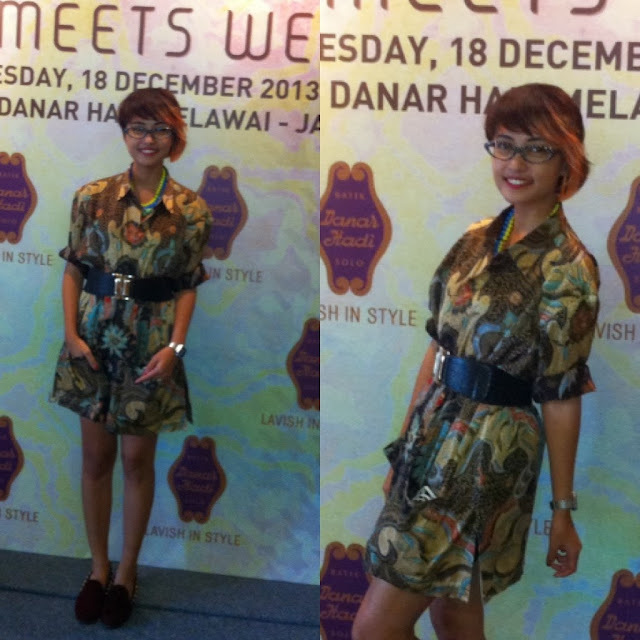 ... Stylie / Batik ... - Hi, I'm Titaz! It will be good if I wear heels, but because my feet already injuried few days before, I cannot wear heels. 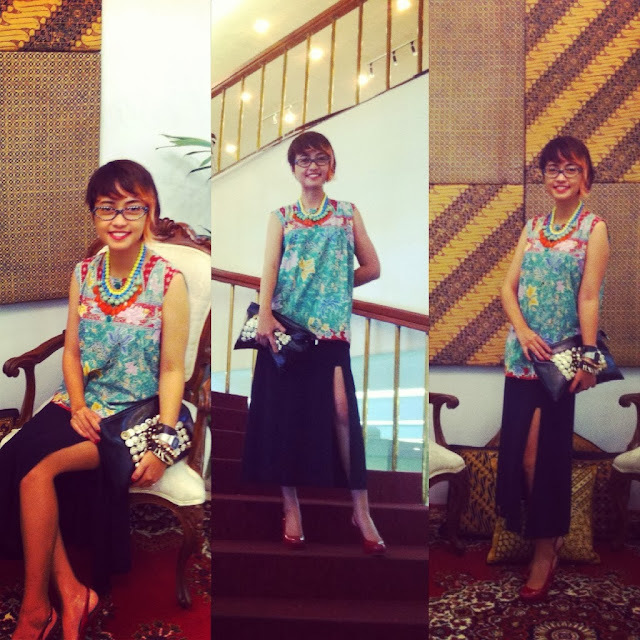 This time I mix my batik blouse with slit skirt, add some color necklace and bling-bling clutch. And I wear Red Heels! Yeay! my foot not really well, but I need to because I do some presentation in front of the guests.